improving nutrient availability, uptake and assimilation into roots and shoots. Biostimulants’ mode of action largely depends on the different bioactive compounds present in the product. For example, in seaweed extract-based biostimulants, specific polysaccharides, such as fucoidan, are priming the plant to tolerate abiotic stress while humic substances-based biostimulants can induce a hormone-like activity in plants and improve nutrient availability. One of the main claims for many biostimulants is their positive effect on stress tolerance. The mode of action can vary depending on the biostimulant type and, in some cases, the exact mechanism which produces this effect is not yet clear. In the case of seaweed extracts, anti-stress effects in a variety of stress situations, including temperature extremes, have been reported. Protective compounds in the seaweed extracts, such as antioxidants, could be involved. Research shows soil temperature and water evaporation rate are stabilised by humic substances. The insulating properties of humic substances help maintain a more uniform soil temperature, especially during periods of rapid climatic changes, such as extreme temperatures. 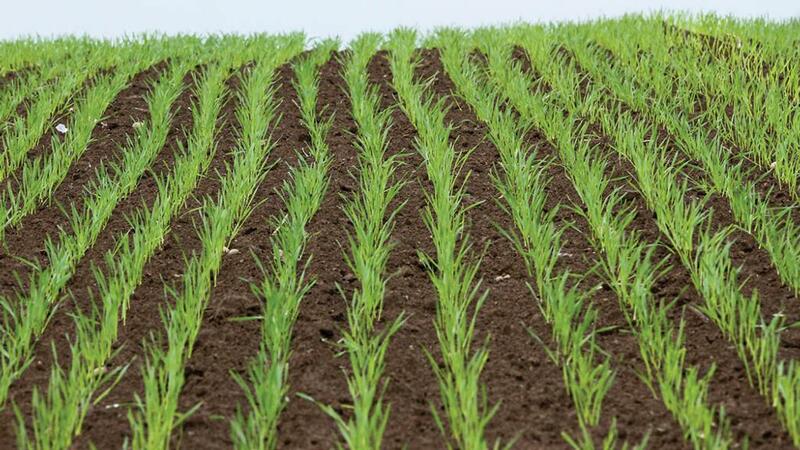 Because water is bound in the humic substances and they reduce temperature fluctuations, soil moisture is less likely to be released into the atmosphere. Selection of the appropriate product for a particular crop and farm situation is based on several factors, such as crop development stage, application method, environmental conditions etc. Each product has specific claims, for example stimulation of flowering or improved nutrient uptake, based on the effect it has on plants. So consulting your local agronomist will help you choose the most suitable product for your crop based on your needs. Biostimulants can have a synergistic effect when applied together with fertilisers. For example, the use of humic substances improves nutrient uptake by increasing the cation exchange capacity of soil. Research has shown humic and fulvic acids are excellent foliar fertiliser carriers and activators. Foliar application of humic or fulvic acids in combination with trace elements and other plant nutrients can improve the growth of plant foliage and roots. Yara has recently carried out two scientific field trials at Newforge and Poyntzpass, Northern Ireland, with the Agri-Food and Biosciences Institute (AFBI). Foliar applications of YaraVita BioMARIS increased average yield by 21.6% compared with the untreated trial. Biostimulants are any compound(s) or microorganisms which, when applied to crops in combination with mineral nutrients, trigger the processes which enhance nutrient uptake and efficiency, improving plant growth, tolerance to abiotic stress and yield beyond the effects of mineral nutrients alone. In recent years, James Walgate, who farms at Hall Farm, Cuxwold, Lincolnshire, has introduced biostimulants into his growing programmes. Mr Walgate says: “We are using biostimulants to optimise the growth of crops which are presently compromised by our increasingly dysfunctional soils caused through a deterioration in soil health. With current nutrient use efficiency being down at 10-30% for phosphate, and 50-70% for nitrogen, there is huge scope to improve this. Improvements bring both crop economic and environmental benefits. Biostimulants have also been linked to minimising the effects of stress, such as drought and waterlogging, on crop performance. These are often referred to as ‘stress busters’ and Mr Walgate is looking to exploit them. At Hall Farm some large investments are being made as it develops controlled traffic farming, reduced tillage systems and introduces new rotations including cover crops, as part of a long-term strategy to improve soil health. Yara is sponsoring the crop nutrition seminar. With many situations out of growers’ immediate control, such as Brexit and climate change, now is an important time to take stock of what can be controlled. At Yara we believe there are a number of ways we can aid a healthy return on investment. We are delighted to be part of The CropTec Show 2018 and look forward to helping visitors to the show take control of their crops to ensure the best possible return.